If you caught THIS post a few weeks ago then you'll know all about LUSH T-Shirts and their amazing new range of Christmas t shirts and today I'm going to show you an actual one! I love wearing anything festive and after a recent trip to Primark to stock up on more festive things, I am well and truly in the mood for Christmas! 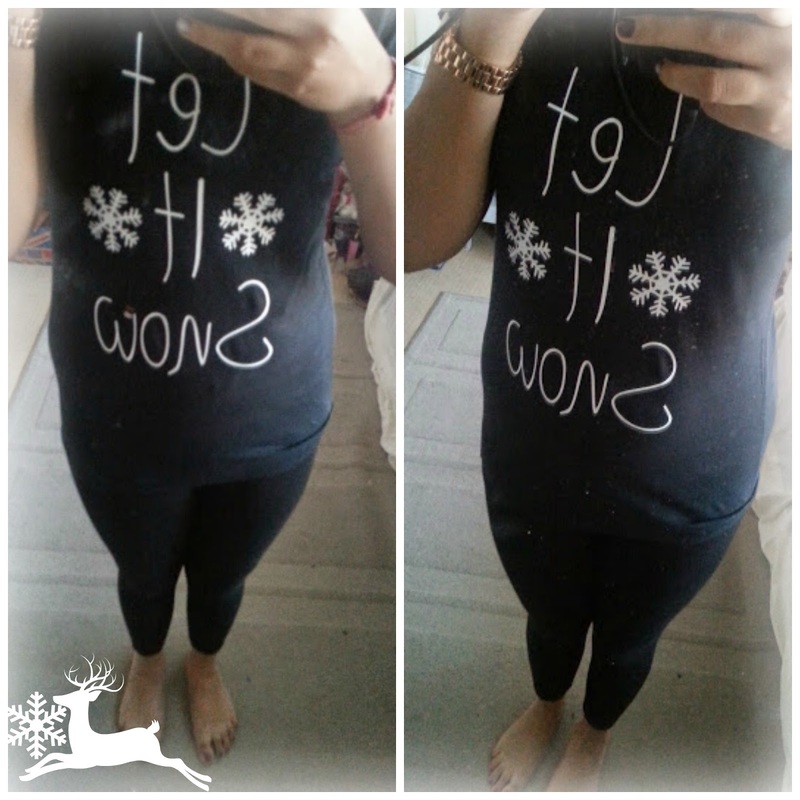 I've paired the t-shirt with some simple leggings because I want the slogan to be the main front of everything and I think a cute woolly cardigan would look adorable with it as well! If you would like to buy this t-shirt then be sure to check out the whole range! I have christmas jumper day at school in two weeks and this is mine!